Cook bacon until desired doneness. Set aside on paper towels so excess fat can drain. Grate 1/4 teaspoon zest from the lemon into a small bowl. Squeeze about 1 teaspoon lemon juice in bowl. Stir in mayonnaise and basil. Spread 1 tablespoon mayonnaise mixture on each of 4 lettuce leaves. 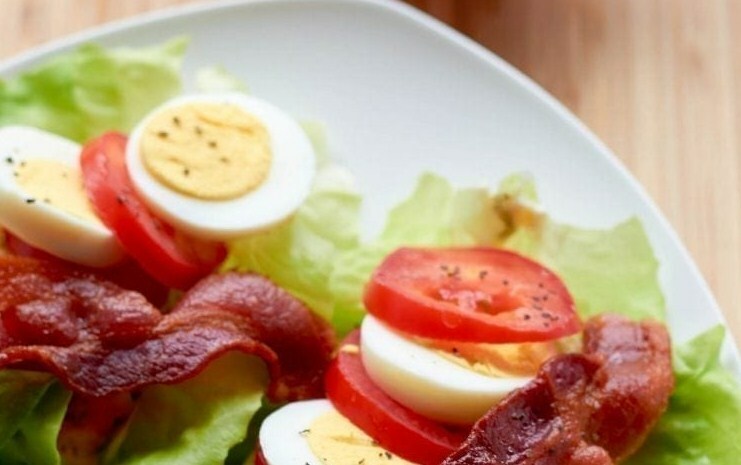 Top evenly with tomato, egg, and bacon. Sprinkle with pepper. Wrap leaves around filling.